Specialist packing service. Pack and Go! We can arrange collections on the same day, overnight and to planned timelines, dependent on your requirements and ensuring that your own schedule is best utilised… we appreciate that your time is valuable. For your peace of mind, our specialist packing services will be carried out by our staff who are specifically trained to work and use the best materials - particularly to protect fragile items or those of great sentimental or financial value. We can also be engaged to dismantle your furniture or display arrangements; co-ordinate, collect and transport a variety of items, as part of a larger project; or check-in items as part of a project management assignment for onward shipping. Our range of high quality materials can include: reinforced cardboard boxes; bubble wrap; cushioning; brackets, braces; blankets; ties; wooden boxes and tailored crates – made to order to best serve the object and purpose of its movement. The combination of materials will be selected as the best option to best protect your items- such as crystal glass; sculptures; antiques; paintings and any other unique or exclusive possessions. We can also offer a complete ‘project closure’ cleaning service when contracted to do so. Pack & Go – we can provide a full door-to door service making your move as trouble free as possible. 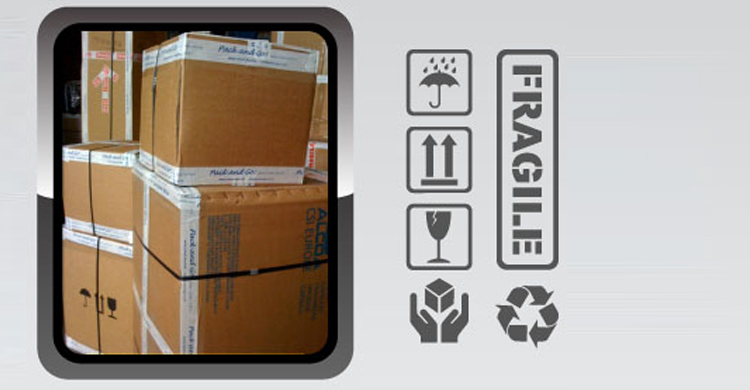 Our most popular delivery services are normally door to door, but if that does not meet with your full requirements or availability, we additionally offer retention in storage or delivery and optional specialist unpacking services at your destination address – all to your pre-defined timelines. Our additional services, with appropriate notice and planning, can also include the assembly of items or furniture; extensive placement of furniture by direction at the customer’s discretion and we can also offer a complete cleaning service when contracted to do so. We have a range of storage solutions and security to meet your needs. For personal and household clients: Pack and Go can provide you with peace of mind ‘complete project solutions’ by providing client defined options for long and short-term storage requirements for higher value personal or household items that can include secure warehousing at one of our storage facilities. For trade and antique dealers: We have in-house forklifts and a range of lifting capabilities; adaptable space and racking for secure, small, large and multiple items; catalogue inventories; client defined Pick and Pack services; and on-site facilities to load and unload 20 and 40 foot shipping containers. - Express ‘on demand’ service to move professional sports personnel as their contracts for their next employers are negotiated.